Video Production Quality Matters! | Rewatchable, Inc.
At Rewatchable, we have been fans of both Wistia and HubSpot for a long time. This morning, HubSpot published a blog post “How to Make a Marketing Video: A Beginner’s Guide” that featured a video with Ginny Soskey of HubSpot and Kristen Craft of Wistia. The general theme of the video is terrific. Not every video needs to be a masterpiece – instead more organizations should be thinking about how they can create “low risk videos”. We could not agree more. Contrary to common belief, most stuff published on the internet doesn’t actually last forever. Just like with a blog post, a video can have a fairly limited and targeted audience and does not need to be an enduring part of your website. That means you can experiment. That means you can have fun. That means you don’t have to project plan it to death and take several months to produce a video. It does not mean you can be thoughtless and churn out low quality videos. The article does a good job of pointing out some best practices for creating a marketing video. It also does a great job at getting people nervous about jumping into the world of video less nervous and more excited about the process. However, there is one comment in the video we disagree with – “The content of your video is way more important than the production quality.” Content is king, no doubt about it, but video production quality is also important. In fact, it is getting more important every day as high-quality, professionally produced video is becoming more of the norm on business websites. 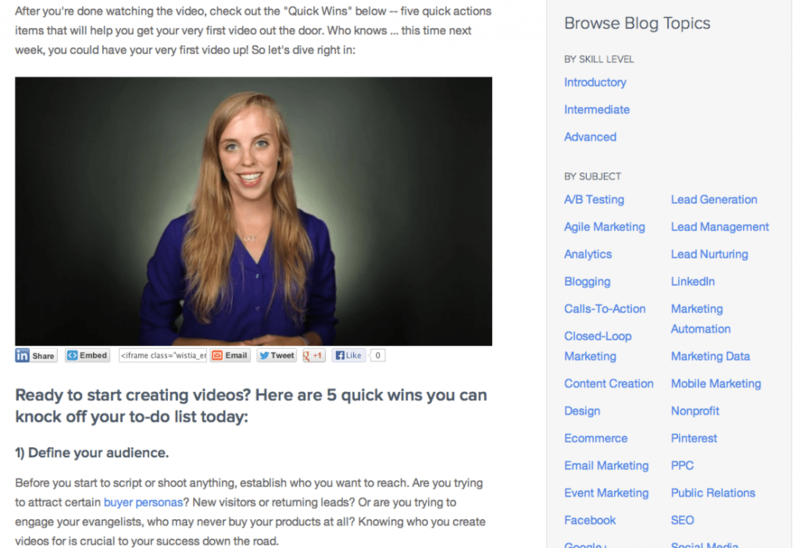 The days of the badly shot, unedited flip-cam videos on business websites are numbered. Your web videos do not need to be Spielberg productions. They don’t even need to be produced by professional video production companies like Rewatchable. But, video production quality does matter! If you add shaky, badly framed, poorly lit, unedited videos with terrible audio to your website, blog or email marketing campaigns you are sending a clear message to your prospects and customers that your company is just not quite ready for primetime. Let’s face it, most organizations want to appear bigger and better than they might really be. A badly done video can have the opposite effect and make your prospects and customers think your organization is small, doesn’t worry about details and is generally not professional. Again, you don’t necessarily need a professional video production company to produce web videos but here are some basic things you should think about. 1) Make sure the video sounds good. If you are using an iPhone or other camera with an onboard camera get the camera/mic close to the subject. Turn off air conditioners or just get away from other sources that create room noise. 2) Make sure the video is properly framed. Don’t show too much of the the room. Don’t get too close to the subject. Too much face can be a bad thing. 3) Get the lighting right. You don’t need a professional light kit but you do need to be thoughtful about the lighting. Don’t shoot with a window behind the subject of the video. Don’t shoot in a room with poor lighting. 4) Take some test video. If it doesn’t look and sound good. Try a new location or change the placement of the camera. 5) Use a tripod. Use a tripod. Use a tripod. Really, use a tripod for God’s sake! So, you can shoot a business video in-house. It can be done. Of course, you can cook a pizza at home or make ice-cream at home. But usually, it makes sense to leverage the resources of professionals. Professionals have the equipment, experience and know-how to make your life easier and produce a better quality product. The same is true for video. Without a huge cost, Rewatchable and other video production companies can help your business create videos that keep your viewers focused on the content because that’s what really matters! Rewatchable’s Blog Video Service is a low cost, low risk option that will allow you to create 5, 10, 20 or more videos in a single day with limited work from your team and super high video production quality. If your organization is interested in our Blog Video Service, call us at 978.666.4068 or fill out this form. Rewatchable is a video production company based near Boston, MA.